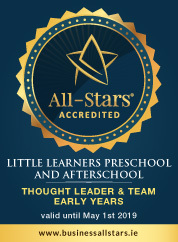 Little Learners came to Drumcondra in 2011 and quickly established a firm footing in the area. The local parents took us to their hearts and have supported us ever since. Our unique and innovative approach based on active learning through the arts has delighted and enchanted our children. We use the Irish language on a daily basis. We host special events once a month. Our innovate approach has won an award from Early Childhood Ireland and we feature in childcare text books used in the Institute of Technologies. We operate a 4 hour morning Pre-School service with the option to stay until the evening. Our award winning Stay and Play After-School Club delivers a unique and innovative programme for our beloved after-schoolers who will benefit form a warm, friendly and fun environment. 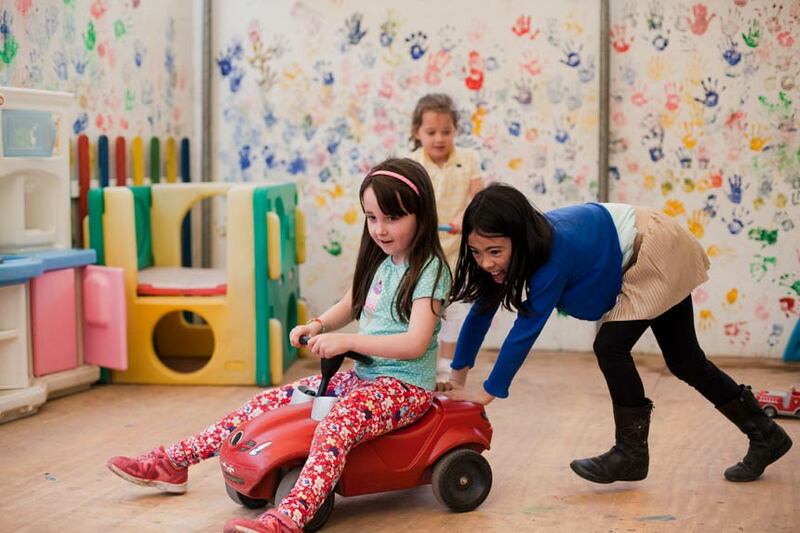 When it comes to After-School Care our mission is to provide a stimulating and varied after-school programme. We introduce your children [club members] to a wide and interesting range of activities and events. We also support parents by providing a relaxed and flexible service where their children are cared for, engaged and most of all happy.